Invigorating Alpha-Hydroxy face wash removes dirt and excess oil for fresher looking skin. 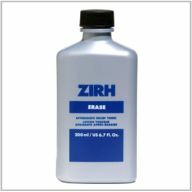 With Alpha-Hydroxy acid, Clean works to remove dirt, excess oil and surface dead skin cells, uncovering newer, fresher looking skin. Fresh, light lemon scent. 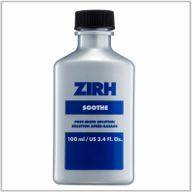 Key ingredients: glycolic acid and menthol cools and invigorates the skin. 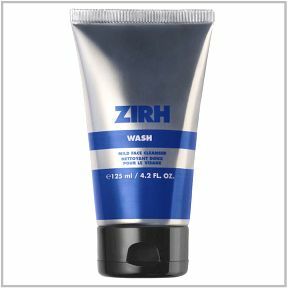 A mild pH face wash for those who find Clean a bit tough. A mild foaming face cleanser, with chamomile and lavender, that cleans and conditions the skin while maintaining its natural balance. Wash is designed to remove dirt and excess oil. The non abrasive, fragrance-free cleansing gel is designed with a skin neutral pH for normal to dry type, or anyone who has found Clean to be tough on their skin. Facial Scrub with aloe, gently removes dead surface skin cells for a fresher, smoother appearance. 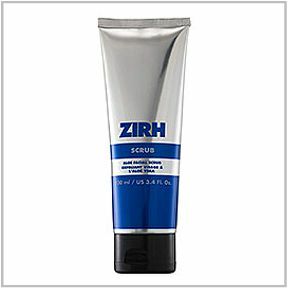 Scrub exfoliates the skin removing surface oil and toxins, dead skin cells to reveal new, healthier looking skin. A wake-up call for your skin. 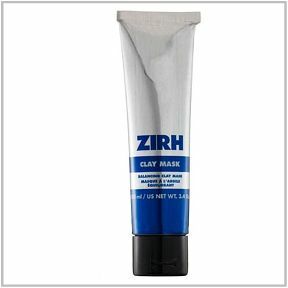 This rejuvenating clay mask works to absorb excess oil. Made with aloe vera, pro-vitamin B5 and vitamin E, it also helps nourish and hydrate the surface of skin for a smoother, tighter complexion. Refresh is a clarifying astringent that deeply cleanses pores by sweeping away excess oils and impurities from the skin. Daily use helps to soothe and restore balance to the skin, preventing flare-ups and blemishes. Refresh is particularly suited for oily skin. It controls shine and sebum without over-drying. Daily skin conditioner for oily to normal skin types. 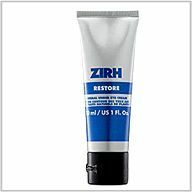 A daily facial moisturizer designed to help the skin feel nourished. 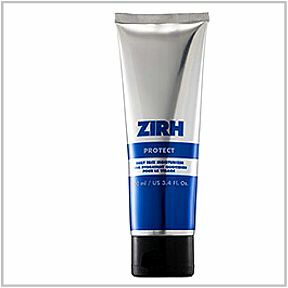 Helps bind moisture effectively to the skin; aids in maintaining smooth and healthy looking skin. Conditioning serum with vitamins that helps to replenish nutrients and condition skin's texture making it feel smoother. 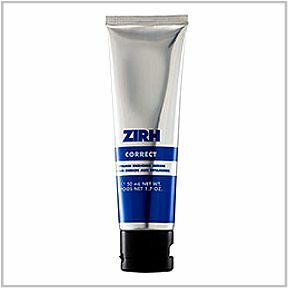 Correct helps maintain the smooth and pliable appearance of the skin and reduce flaking on the surface. Key ingredients: conditioning formula with emollients and a blend of vitamins including A, C and E, that helps maintain the smooth and pliable appearance of the skin. Herbal under eye cream. 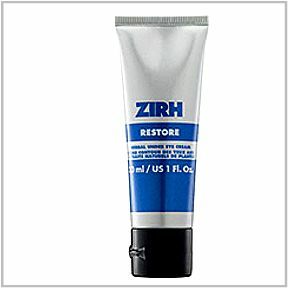 Apply Restore to help reduce puffiness and dark circles around the eye area. Key ingredients: skin conditioning agents and aloe vera extract that enhance the appearance of skin under the eye. Light unscented botanical shave oil designed to prime your face for shaving and reduce razor friction. Prepare light botanical shave oil is designed to lubricate the beard area and improve glide while shaving. 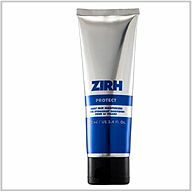 This protective layer on the skin can help prevent razor burn, make shaving easier and more comfortable. No irritating scent. A clear shave gel bursting with aloe vera helps protect against razor burn for a comfortable precision shave. Zirh's clear, non-foaming aloe vera shave gel makes it easier to maintain sideburns and other facial hair, and avoid any irritated area. 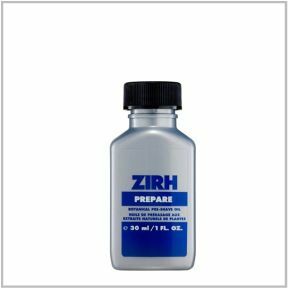 Extremely concentrated formula - one jar should last up to 3 - 4 months. 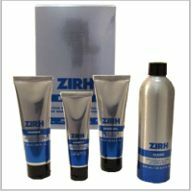 Key ingredients: aloe vera and glycerin condition the skin and help protect from dryness. 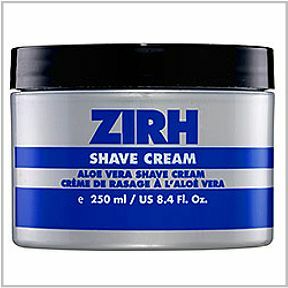 A non-foaming shaving cream with aloe vera helps protect against razor burn for a comfortable shave. 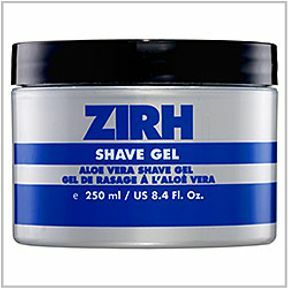 Zirh's shaving cream is specially engineered to provide superb glide. Aloe vera and glycerin condition the skin and help protect from dryness. 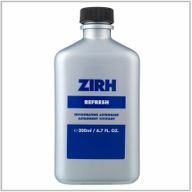 Extremely concentrated formula - one jar should last up to 3 - 4 months. 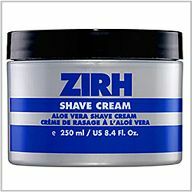 WINNER -- Men's Health Grooming Awards voted Zirh Shave Cream the 2009 Winner in the Best Shave Category. 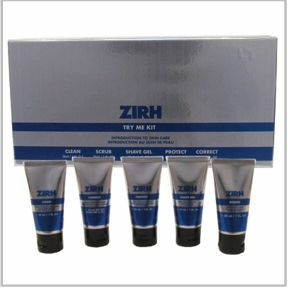 Key ingredients: Aloe vera and glycerin condition the skin and help protect from dryness. Menthol cools and invigorates the skin. 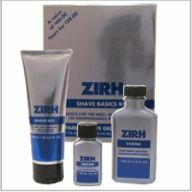 Post-Shave Solution helps skin recover from dryness after shaving. 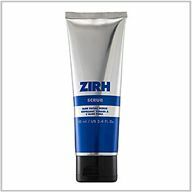 Soothe enhances the appearance of dry skin after shaving. Also makes an effective light moisturizer. An after-shave tonic is designed to zero-in on shaving problems. Made with ingredients that relieve redness, clear away razor burn and ingrown hairs. Erase also provides needed moisture and enhances collagen synthesis. 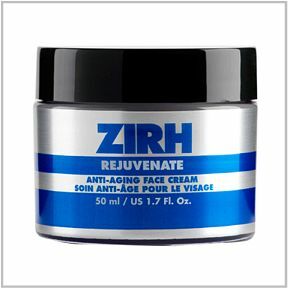 Anti-aging cream designed to visibly reduce fine lines while you sleep. 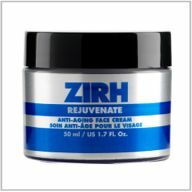 Rejuvenate moisturizes the skin’s surface through the night, when the skin is repairing itself. Light texture and quick absorbing. A quintet of trial-sized skincare essential for him. A $42 value for half the price. 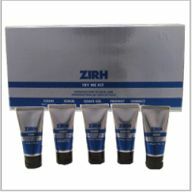 This all-in-one kit is an ideal gift and introduction to Zirh. 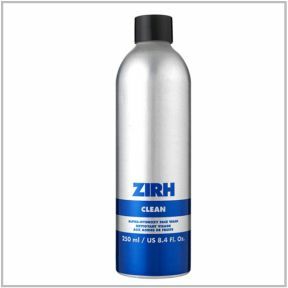 Clean is a purifying and soothing facial cleanser. Scrub is a deep cleanser designed to slough off dead skin, leaving a healthy, purified complexion. 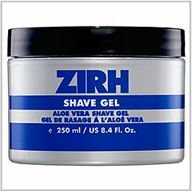 Aloe vera Shave Gel is a clear, non-foaming shave gel that provides unrivaled shaving precision and protection. Its transparent formula allows for maximum visibility. Protect is an effective hydrator that fights the negative effects of free radicals that come from environmental pollution and sun damage. Correct is a problem-solving facial serum that replenishes skin with vital nutrients to make it look its best—now and in the future. The best way to get acquainted to Zirh's core method. A $95 value for just $44.25, this Zirh Kit also makes a fantastic gift. 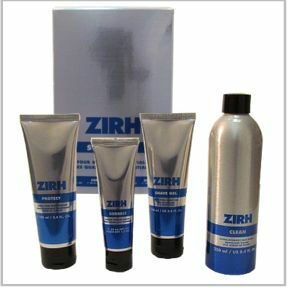 Includes Clean face wash, Shave Gel, Correct serum and Protect face conditioner.